Now you can build services that have a recurring pattern, such as; daily, weekly, monthly or yearly. This way you can encourage loyalty with your customers and remind them about recurring events. Login > Addons > subscribe to the addon. 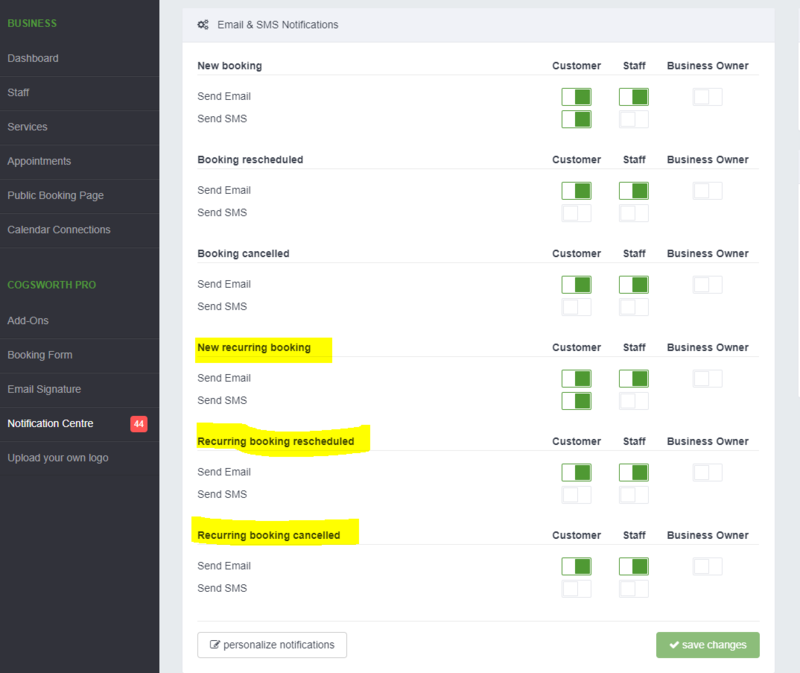 Now recurring events are activated for all of your businesses! 6. Customers can reschedule or cancel individual appointments or series of appointments. We will be bringing out more sophisticated cancelling rules in 2019. 8. You can also adjust the email and SMS notifications for recurring appointments in your 'Notification Centre'. Here is your guide to the Notifications Centre.